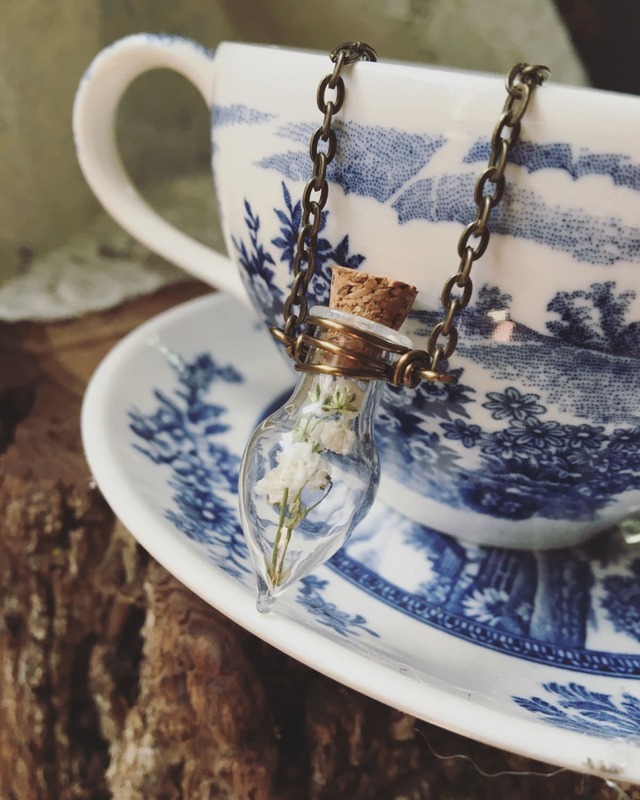 A beautiful uniquely shaped sturdy glass bottle holds the most perfect dried floral specimen of babies breath. 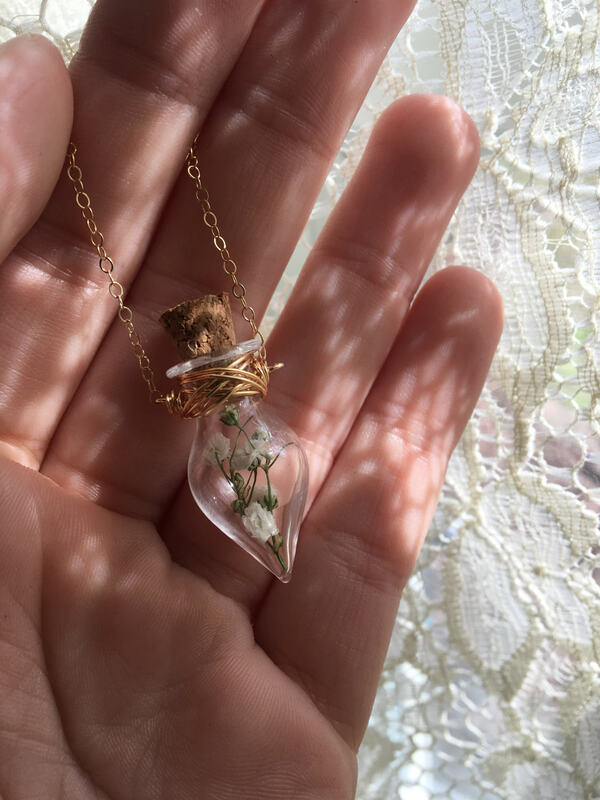 Bottle has been wire wrapped securely to a chain. Need 3 or more for bridesmaids, - group of friends or multiple family members? Message me for a special discount! 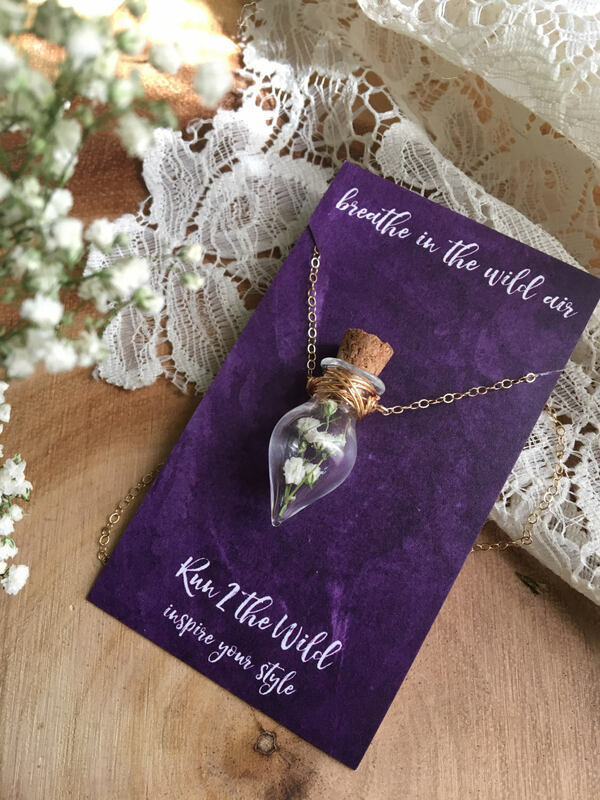 Run2thewild always takes such good care of her customers, I have bought several times from her and everything has come out just exactly like the pictures you see. She goes above and beyond to make your experience with her store amazing! Thank you again for another amazing price! 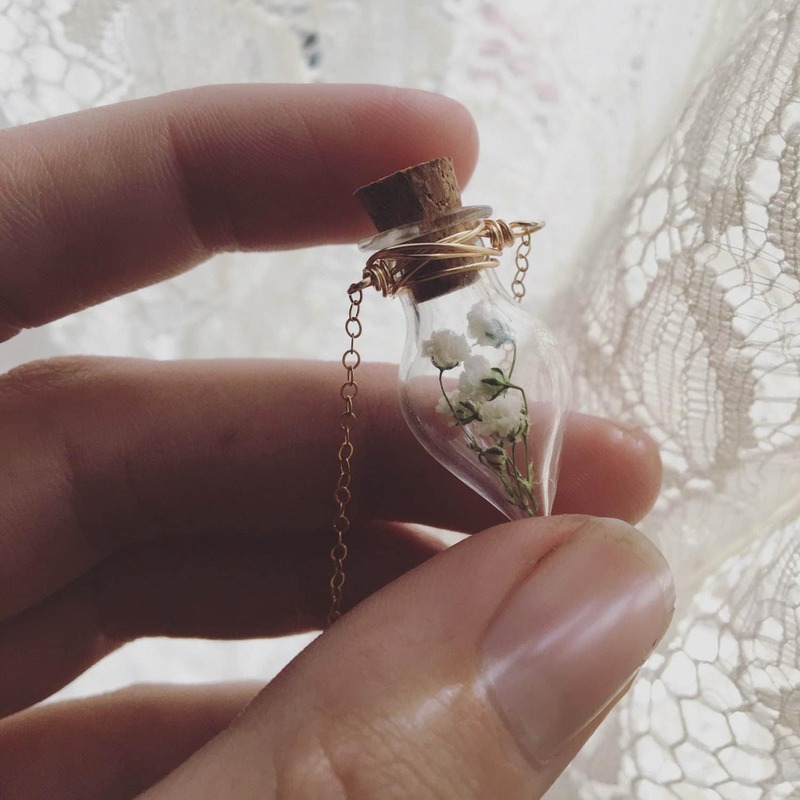 This item is beautiful! 8 love the flowers and the look in full, the only issue (and it is a small one) is that the cork falls out easily. A little glue will easily take care of that! Thank you!